What makes one band rise to fame while another stands steadfast in the shadows? For Luna, it was a career that flew pretty much under the radar. They didn’t have the hype of a Radiohead or U2 or any other arena rock band. And that’s great for the fan that enjoys seeing their favorite artist in an intimate setting. But for the band itself, bills needed to be paid. 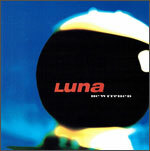 I didn’t join the Luna bandwagon myself until way too late in the game, prior to the release of their final album. My first taste of their brand of New York-style rock was shortly after the release of Penthouse, which had no problem hooking me (the where-the-hell-had-I-been bell rang immediately). As a fan of the Velvet Underground, I was drawn to Luna’s influences and as I backpedalled through their catalog, I was certainly excited to find out that Sterling Morrison made a few cameos on the Bewitched album, adding his velvety guitar to “Friendly Advice” and “Great Jones Street.” But beyond the VU-like guitar stylings, I was also drawn to the charm and humor that are so often a part of Dean Wareham’s lyrics. For Luna, it ended with one last sweet rendezvous in 2004-05. One last chance to weave their magic. I caught one of these shows at the Abbey Pub in Chicago. From what I remember, it was a solid if not spectacular show, although I have to admit the Abbey Pub’s propensity to mix wickedly strong drinks makes me feel a bit ripped off of any lasting memories of the night. I do remember people around me talking a bit too much. It was a typical weekend bar crowd, not exactly hell-bent on soaking in the importance of the moment. But by the end of the show, after my companion and I weaseled our way up near the front of the stage and started an admittedly half-hearted and drunken pogo, we felt like we had managed to enjoy the remnants of Luna’s twelve year career. We were like fat wobbly pigeons gobbling up the scraps.